Town centre redevelopment of a former Co-op department store. Total area of 60,000 sq. ft. 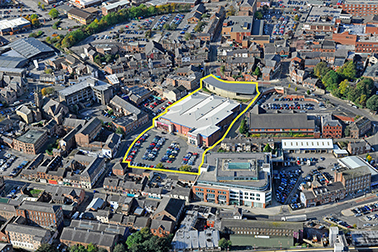 The scheme included a new town centre bus station, car park and paved the way for a new Primary Care Centre on an adjacent site. Sports Direct takes an assignment of the B&M lease. Bar Unit let to Fever Group. Sports Direct have taken an Assignment of the B&M Lease.